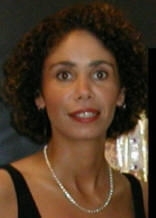 As an experienced professional in the non-profit sector, Linda has done extensive business development and worked in such areas as non-profit strategy, corporate social responsibility, board development, capital campaigns, individual/major giving, institutional support, development audits and reviews, campaigns and internet fundraising. She has worked with such organizations as the New York City Center for Charter School Education, START Treatment and Recovery, Elevate New York, the Allan Houston Foundation, New Leaders for New Schools, Harlem Educational Activities Fund, and NYC2012: New York Olympic Bid. Prior to being a consultant or subcontractor to international, national and local non-profits, Linda was the Senior Vice President for Development at Covenant House International, which is an agency that serves children in crisis and who are homeless. Linda was directly responsible for raising over $55 million annually for the corporate headquarters and was also charged with working with the 27 sites in the United States, Central America, Mexico and Canada in order to support them in raising an additional $50 million annually. This work involved board management and development, corporate social responsibility, strategic planning, the implementation of an individual/major giving program, institutional support, planned giving, capital campaign work, direct response, social media and web fundraising. Before assuming her role at Covenant House International, Linda led Inner-City Scholarship Fund (ICSF) as the Executive Director in an overall reorganization with the support of a high-powered Board of Trustees. Annually, ICSF raised over $12 million from the board and volunteers, major donors, events, institutional funders and direct mail. Previously, she directed the planning and implementation of the annual $10 million Appeal in all parishes of the Archdiocese of New York. Linda was instrumental in the establishment and success of the $100 million Inner-City Scholarship Endowment Fund, which is now called the Endowment Fund for Inner-City Schools. Linda holds a Master of Arts Degree in Social and Organizational Psychology from Teachers College, Columbia University. She also earned a Bachelor of Arts Degree from St. John’s University. She spent part of her younger years living abroad in Brazil and Argentina and is fluent in Spanish. A native New Yorker, Linda operates between Europe and the U.S. I understand that you got information about me from Stephen Zimmett and I would like to be in contact in order to find out what possibilities there are for support of my project in Kapilvastu Sout\h East Nepal. He also send me another address, supposedly where I can reach you, so I also will contact you via this other address. Enjoyed reading your bio; very interesting. It reveals your passion and expertise with non-profit organizations. I started a non-profit organization in 2012 and am struggling with recruiting the right Board Members and fundraising. Hence, your article on creating an active and productive board of directors was very helpful. I am passionate about the work this non-profit is doing for teenaged girls and their parents in an impoverished community. Fundraising is difficult because of the area, and attracting supportive Board Members with financial resources with a start-up organization can be challenging, but I will not give up! I have faith that a breakthrough will occur — not only in attracting the right Board of Directors, but the resources as well. Thank you for your insightful article. Thank you so much, Dr. Young. If I could ever be of further service, please let me know.